Well so far my worms have survived for 5 days… which is 4 days longer than my last attempt (last year). So your probably wondering why bother? 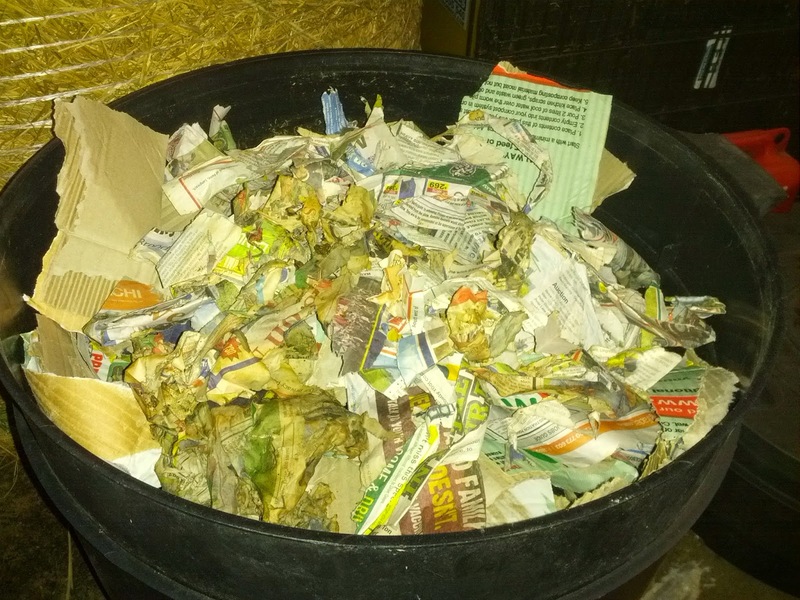 Well composting is an ‘easy’ action that any household can undertake. Not only would it reduce your carbon footprint, but the products can benefit the household too. 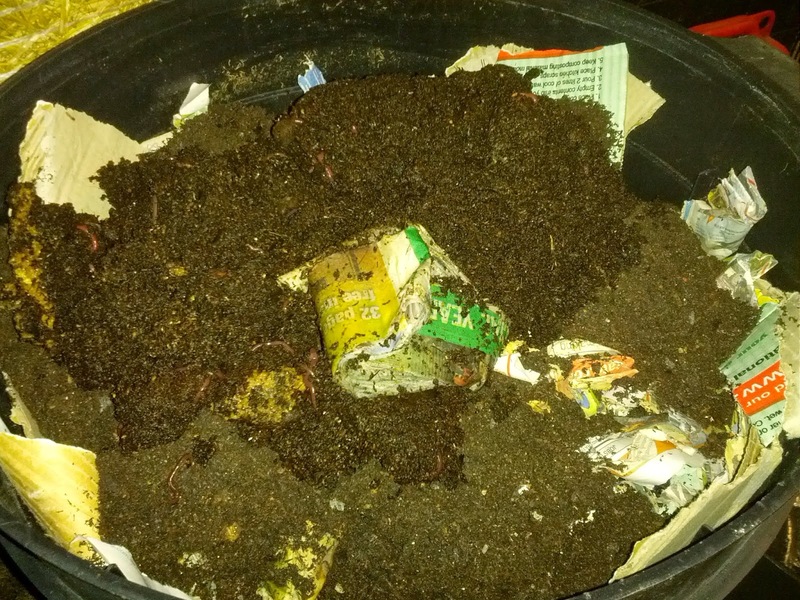 Following my previous failed attempt at a worm farm I did continue to use a basic composting using a compost bin; breaking down garden waste (leaves, grass clipping etc.) as well as our chicken waste (bedding, manure etc). 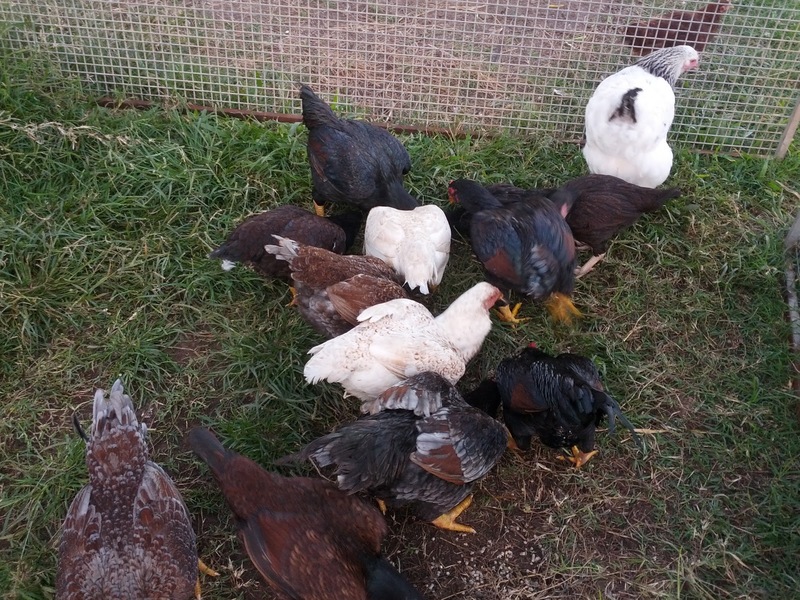 As chicken manure, like all manure is very good for gardens you never buy it commercially pure… that’s because it’s actually too high in nitrogen to be placed directly onto beds; composting helps break it down, so it can be used successfully. But I finally felt it was time to have another attempt with worms. Having gotten over my previous/failed venture, I was more adamant that I wanted a second attempt. Though this time I decided I would purchase the proper equipment. As I think my DIY version may have been my downfall last time (maybe there were chemicals/ or pesticides on the boxes I had not foreseen, along with those who drown in the base). So you may wonder why I am so obsessed with worms, but this simple addition should provide us with great benefits. And I guess the idea that it should be something anyone can do, on any scale and it had beaten me was driving me mad! And a lot of what we do here you don’t necessarily need an acreage to do and this is one of them, in fact worm farming would be quite the opposite, I’m having to find scraps to feed them! 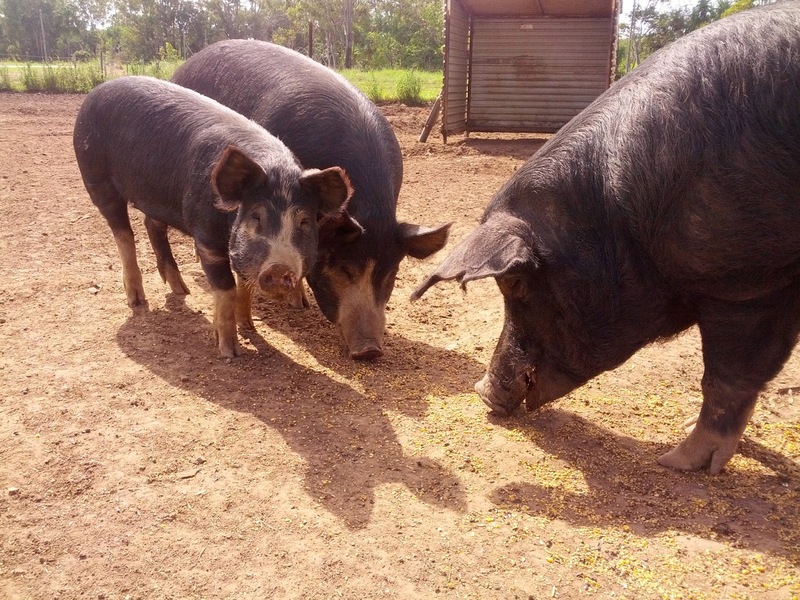 As in general we really dispose of a lot of organic material- the pigs, dogs and chickens make short work of our offerings… although there are a few things that they can’t have (tea bags, coffee grounds, avocado or banana peels etc). But for the general family household worms are ideal. 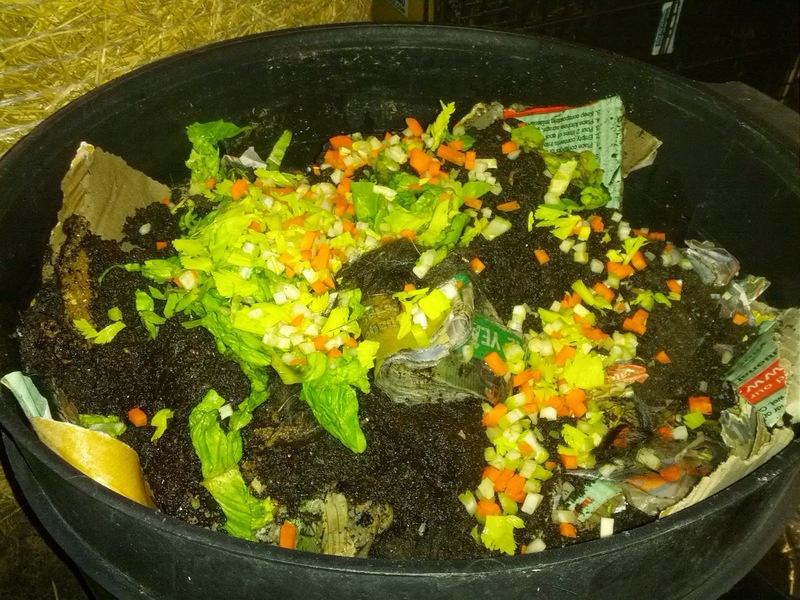 They speed up the composting process and once established composting worms can eat up to their body weight in food everyday! 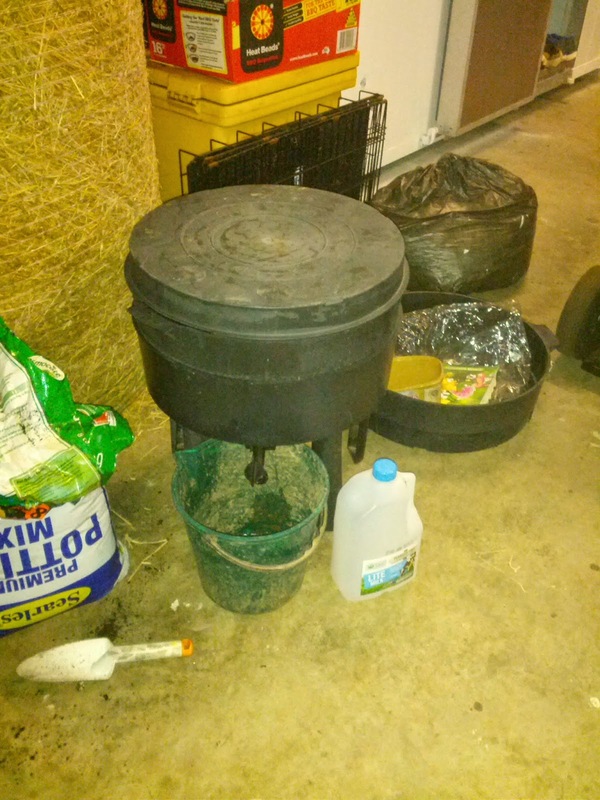 Which is a lot faster than a compost bin, requiring less storage space to breakdown far more waste. Which when you consider about 50% of all household waste is organic and could be recycled, it should be quite easy to feed them. That and the organic matter we throw away has to go somewhere (landfill); which is not only costly, but means we need to use more land to store it whilst it breaks down. And it then releases gases such as methane into the atmosphere. So for environmental reasons; not that and the prospect of producing our own compost and liquid fertiliser- which will be one less thing to buy, and cost for producing our own produce. As well as the plastic saved buy not buying/transporting etc. just makes sense! That and for us we would have the added benefit to us of having our own supply of composting worms as/ when we need to ‘top up’ our bio-tank system and they would make a tasty treat for the chickens too. And it is a very simple system www.tumbleweed.com.au available world wide. That we can expand at a later date. So this time we started small, purchasing 1200 worms from the local hardware store. As opposed to my 1kilo from last time (this may have also been a factor… too many worms!) So I began by settling them in. Beginning by shredding the cardboard packaging from the worms and placing it in the first tray. 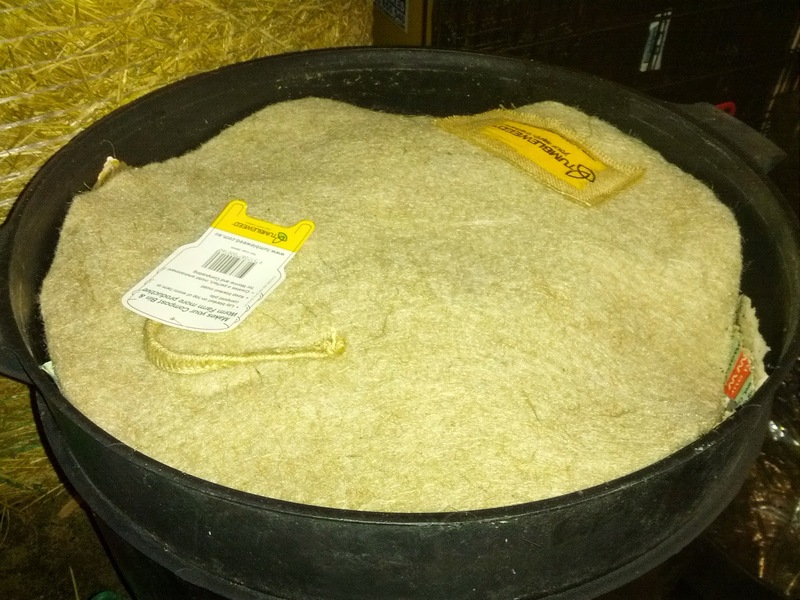 And topping with some compost as I didn’t have the suggested coir brick usually supplied with this system. Then some chopped veggie scrap. An topped with the proper matt... And to date they are going well! For the moment (as its winter and ‘cold’) these guys will remain in the shed as ideal temperatures are 15-25°c. Once the cooler months are over I will move them outside, though I may need to consider a shady spot that doesn’t get too hot. This would probably be more appropriate for them come summer too. As the shed become very hot during the day. I will also finally get to test my soil and moisture tester that I bought last year for the initial worm purchase… so I will keep you updated on their progress and how their ‘produce’ goes too. I’ll have o check how long I have to wait for worm tea (liquid fertiliser), as I have a batch of seeds propagating that I would love to utilise it when it comes to planting them out. *Worm tea is actually their excrement (yes poop) and can be quite concentrated, so it should be diluted with water to the colour of ‘weak tea’.